I'm curious to know how the 30 cm tide is measured. I guess GPS these days, but back when I were a lad, we didn't even have any useful satellites, just dog kennels and beepers. 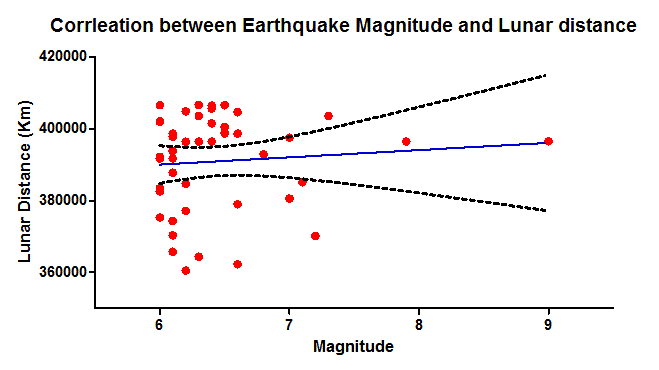 Yet I recall reading about the extent of the lithospheric tide, I'm sure! I read his article as Mr. Nolle essentially saying "none of the sceptics understand me". What a load of post hoc ergo propter hoc. 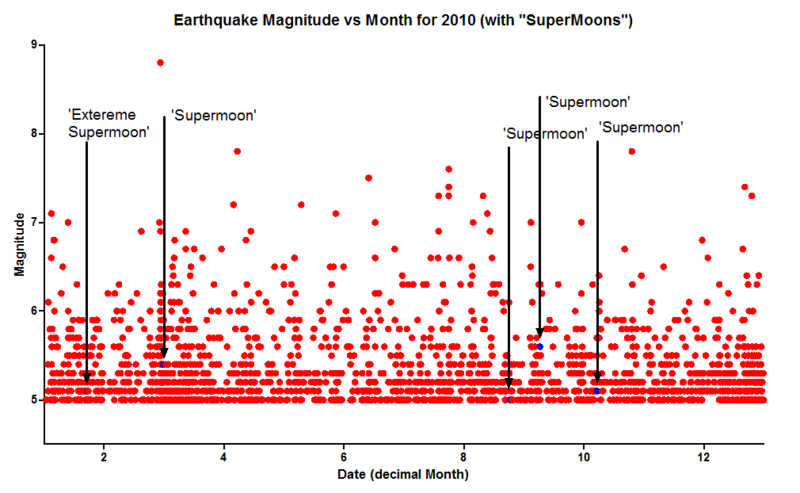 I'm intrigued by your plot of moon distances and quake magnitude. 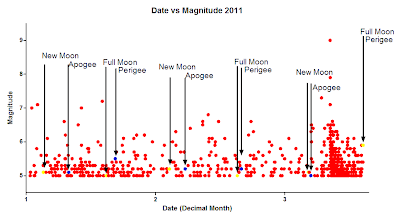 I'd like to identify quakes that occurred in the past when a full or new moon was close to perigee. Could you direct me to a data set that I could use to do this? 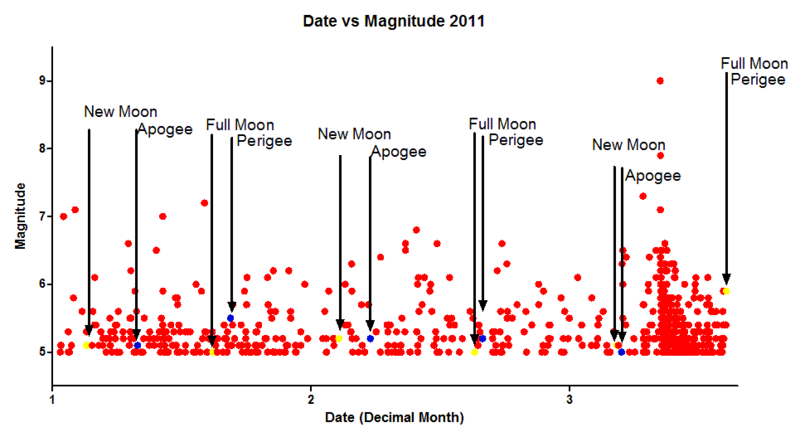 As I understand it the Japan quake on 11 March occurred during first quarter moon. 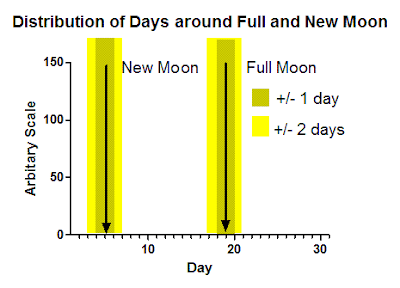 The full moon of the cycle later was synchronous with perigee on the 19th. 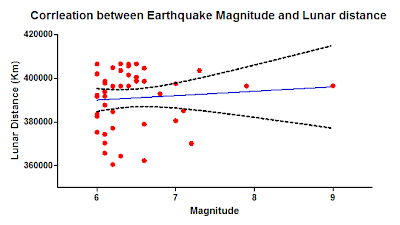 Look up in the main body of the post for direct links just after the plotted moon distance / quake magnitude diagram. 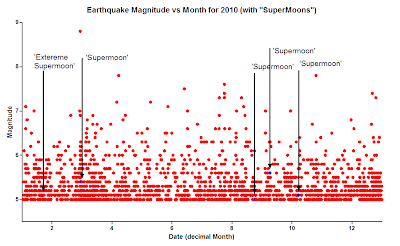 I used the downloadable USGS data set and Inconstant Moon.